This adorable Cupcake Pinata features a design of three delicious cupcakes on a bright green background. Fill this Cupcake Party Pinata with up to 2 lbs of your own candy and toys (not included) and watch as each guest takes a turn pulling one of the 12 Pull-Strings until they find the one that releases the goodies inside! 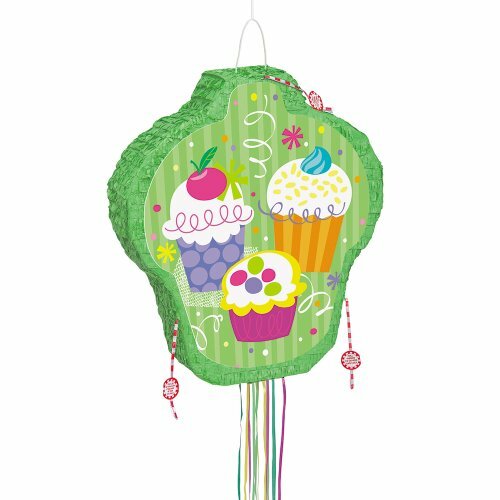 Cupcake Party Pinata measures 20″x18″. Pinata ships flat, but expands to 4″ deep for easy filling.